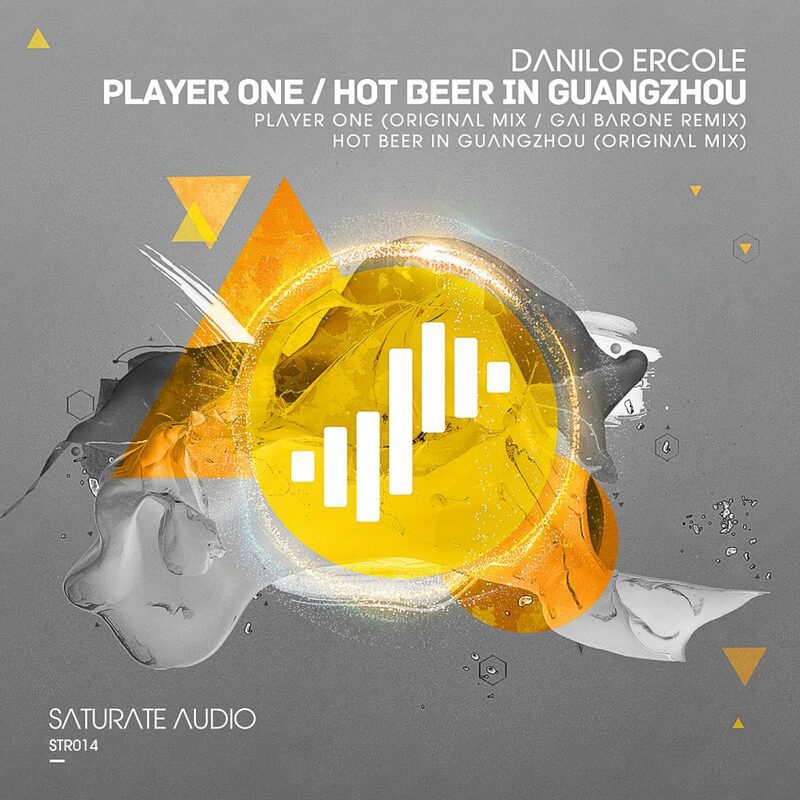 Saturate Audio presents with excitement and joy the brand new Danilo Ercole EP including the tracks Player One & Hot Beer In Guangzhou. It includes the superb rework of Player One by the Italian master of deep progressive trance music Gai Barone. Danilo Ercole is an ultra hot producer from Brazil with releases on the most influential record labels in the trance scene.He plays all over the world with performances that rock huge crowds and he has his own radio show too. If you follow the steps of this bright young gentleman you can guess what you can expect in them. Player One is a powerful big room main stage trancer. The drum beats are punchy and the basslines are deep and haunting. The melodies are dark, mysterious, inspiring and infectious. The breakdown is atmospheric packed with heavenly vocals and euphoric synths. The climax stays on the tech side of things with focus on the bass and on how to maximize the dancefloor destruction. Its huge no doubts. Gai Barone is Italy’s hidden secret and waits his time to get big and be on everybody’s lips. If you are of course eclectic trance listener you know him and you enjoy his great releases. For his remix on Player One does something outstanding once again. He extracts from it the best elements only and highlights them in his own canvas that is deeper, moodier, melancholic and absolutely mesmerizing. You will love the way he applies the heavenly typical trance voices reminiscent of the anthem Age of Love and he mixed them beautifully with more opera style vocals. He slowly creates his thread of beautiful melodic layers, bubbly warm deep basslines and minimal trance beats. The result can only be compared with a painting. Second original track by Danilo Ercole is Hot Beer In Guangzhou. Get ready for a totally different track from the previous one. On this one as it seems Danilo is influenced from his thirst of a nice cold Beer and delivers a peak time club cracker. It starts with great hi energy feel and slowly develops into a monster tune that the myriads of sound colors are coming and going while the nice groove and the catchy rhythm will be hard for any clubber to resist. Danilo is an excellent producer who masters his skills more and more so you can expect only the best with bonus the stunning Gai Barone remix.